From the last year, the popularity of flat design is rising up. 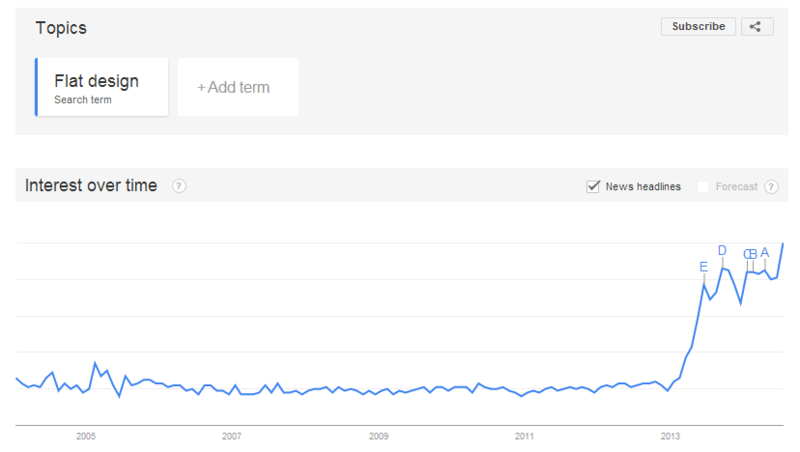 As Google trend shows (see the screenshot below) that, Flat Design is the number one trend for 2014. Use of Flat Design is growing up! What makes it so popular among the web designers? I have found out the most important 6 reasons behind it. So, I like to share that with you all guys too! Flat design has a very simple style which is very clear and beautiful. Usually people do not like to see the complex design. Flat style uses clean and legible typography. Bright flat colors make it easy to distinguish the sections and make icons easy to understand. Flat design comes up with a better user experience. The style makes it easy to convey information to the target people. So it helps to promote a product or idea. It reduces the loading time of webpage which is one of the great advantages of flat design. Slow loading is very annoying to any people. With using minimal design elements and icons, flat design makes the websites load faster. By removing the illusion of three-dimensions like dropping shadows, gradients or textures, it focuses more on a minimalist use of simple elements, flat colors and typography. Thus it allows the interface designs to be more well-organized and efficient. 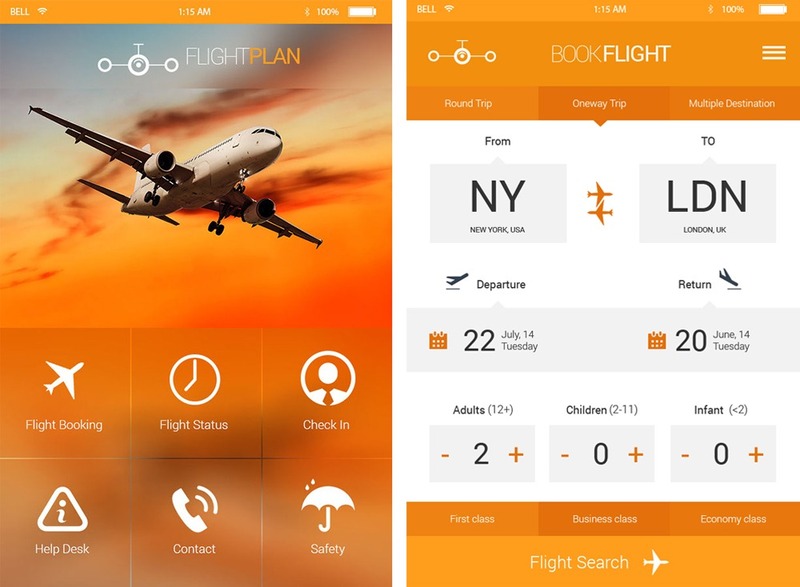 Usability is main focus of flat design instead of familiarity. People’s mind can easily recognize a simple shape. They don’t need complex visual signs to understand what they are looking at. So using minimal signs and making it usable is the main purpose of flat designs. Designers find it easy to make responsive designs for different devices. However, it doesn’t affect the visual effect on hi-definition screens. Many popular organizations are using flat style like Apple, Microsoft etc. Perhaps this is also a reason of growing the popularity of flat design among the people. Here is an example of flat style, designed by Nascenia. An example of Flat Design, done by Nascenia.